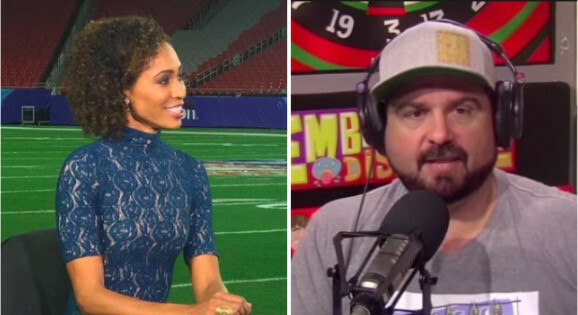 There has been a ton of backlash against ESPN's Sage Steele, who has made controversial remarks over the years regarding racism, black people, Muslims, immigrants and more. The Worldwide Leader is usually strict on stuff like this, but it seems like Steele has been getting a pass as of late regarding these issues. Dan Le Batard, who hosts the show "Highly Questionable" on the network, wonders why. “The genie is out of the bottle on this because we all have our own Twitter accounts and all have our own social media,” he said. “This is what ESPN is trying to prevent because once one person does it, it opens the floodgates for the rest of us because, of course, I, as the son of exiles, look at this and I’m like what the hell are you talking about [that] your travel plans were affected? What are you talking about? The height of privilege. Do you agree with Dan?